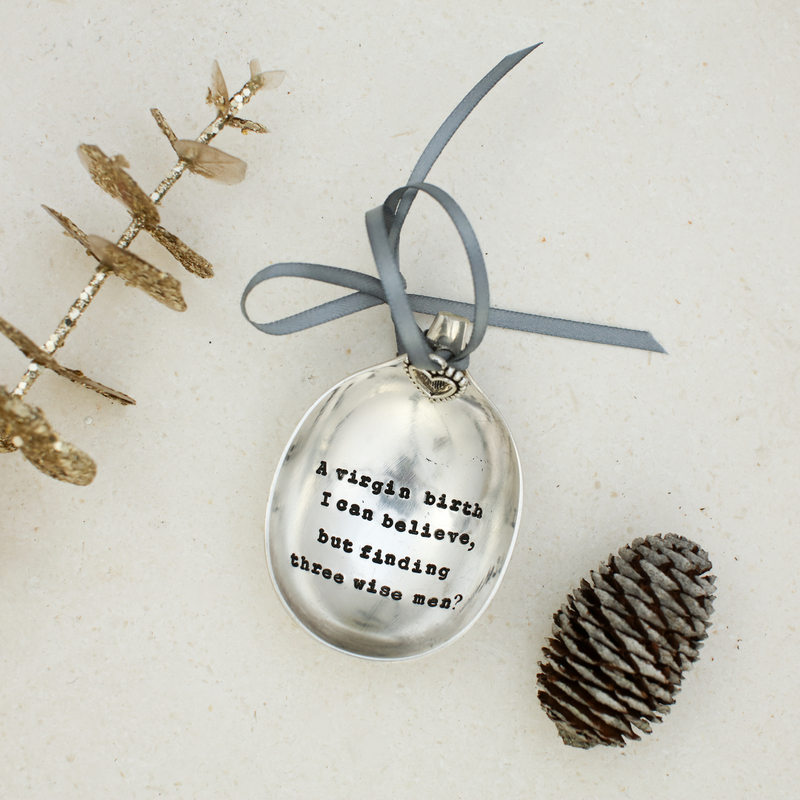 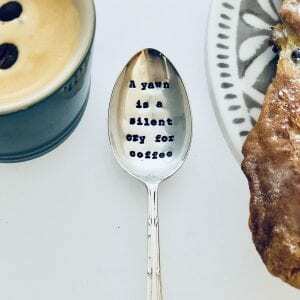 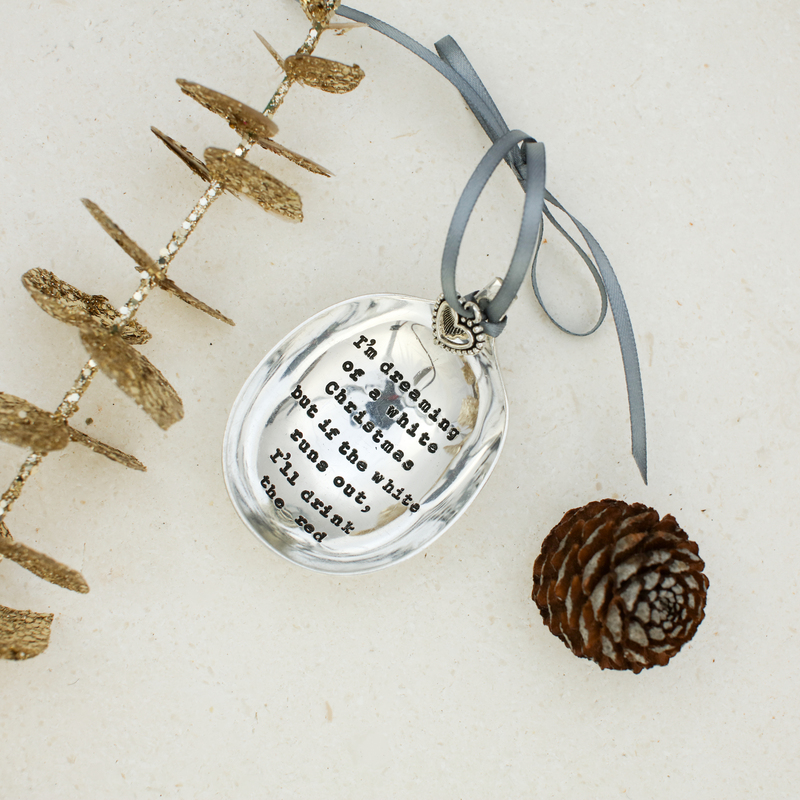 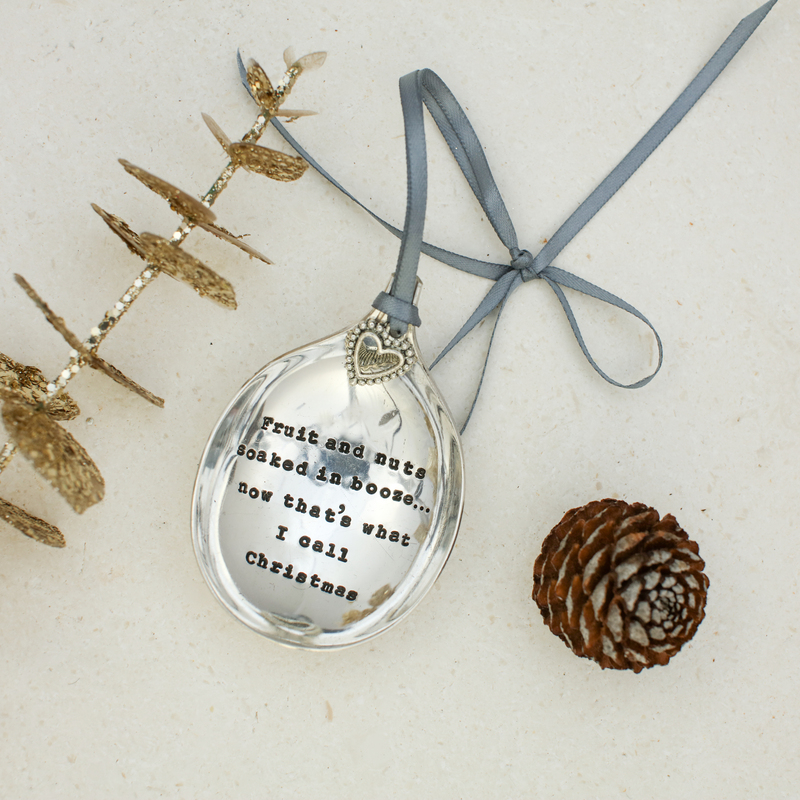 Beautiful silver plated vintage spoon bowl bauble hand stamped with a choice of different quotes for you to chose from. Our unique Christmas spoon baubles arrive tied in grey ribbon all ready to hang and dd a touch of magic to any Christmas tree and make a beautiful keepsake. 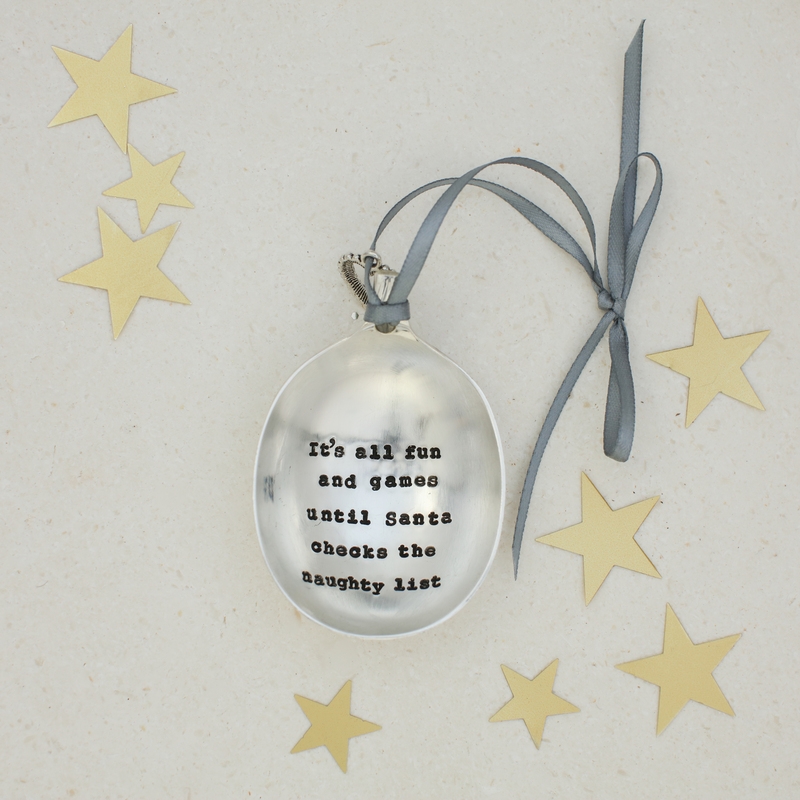 A Virgin Birth I can Believe But Finding Three Wise Men? 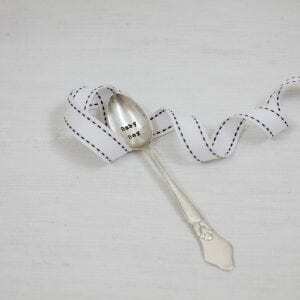 As our cutlery has had a previous life signs of it’s history may be visible adding to it’s unique charm and beauty. 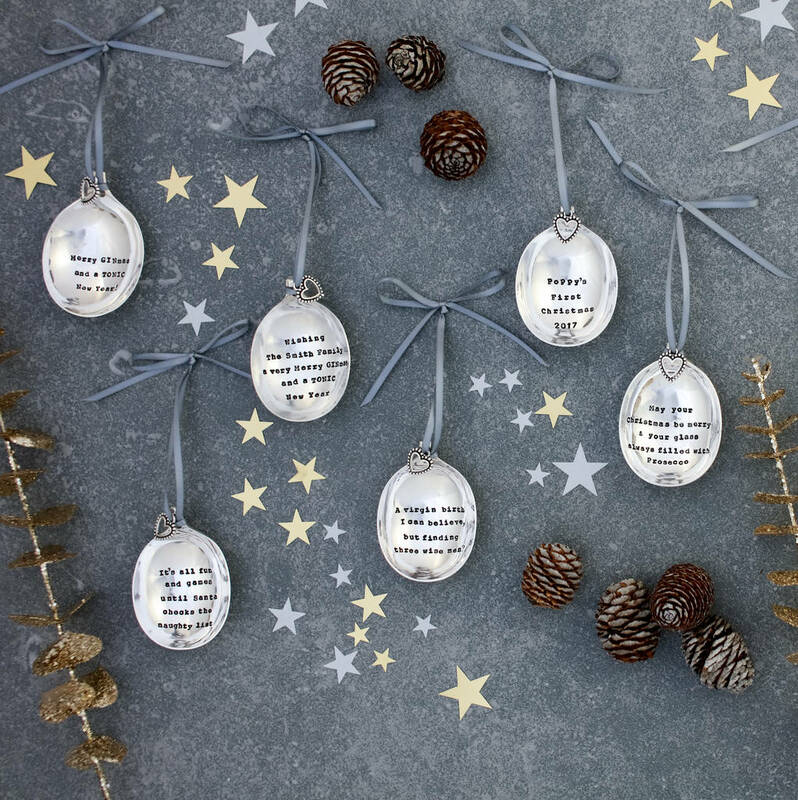 Every letter is hand stamped so spacing and alignment may vary and of course handles will vary however they are all beautiful, in keeping and in many cases ‘one off’s’. 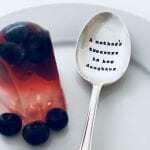 As our cutlery is not mass produced we cannot supply exact images. 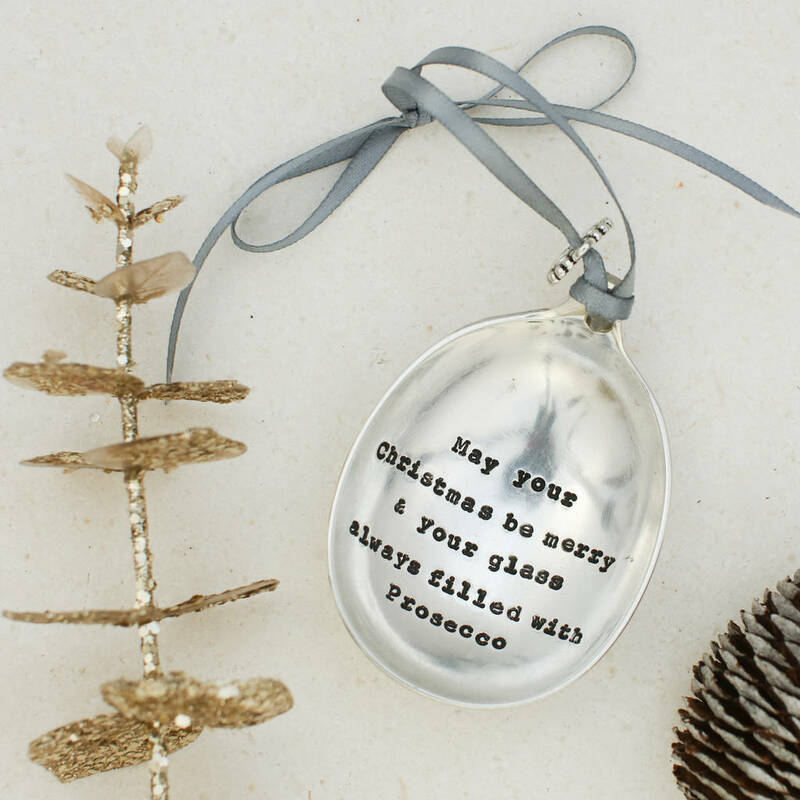 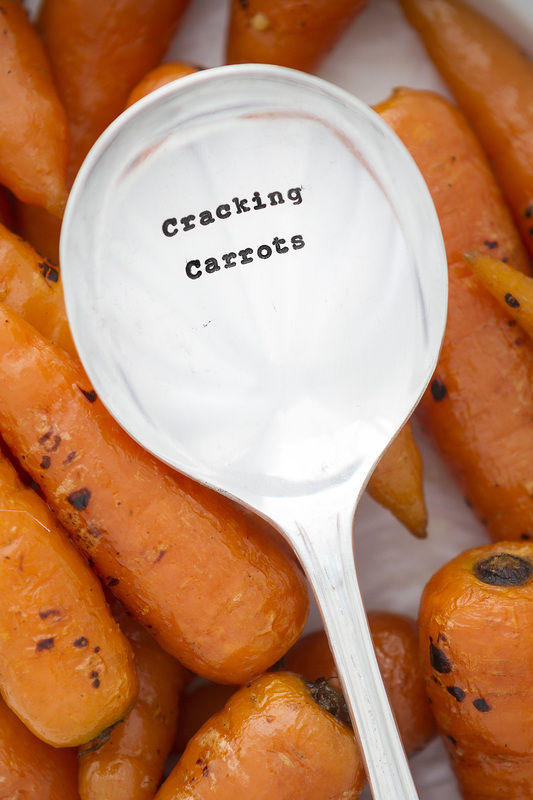 Made from: Silver-plated Not dishwasher safe. 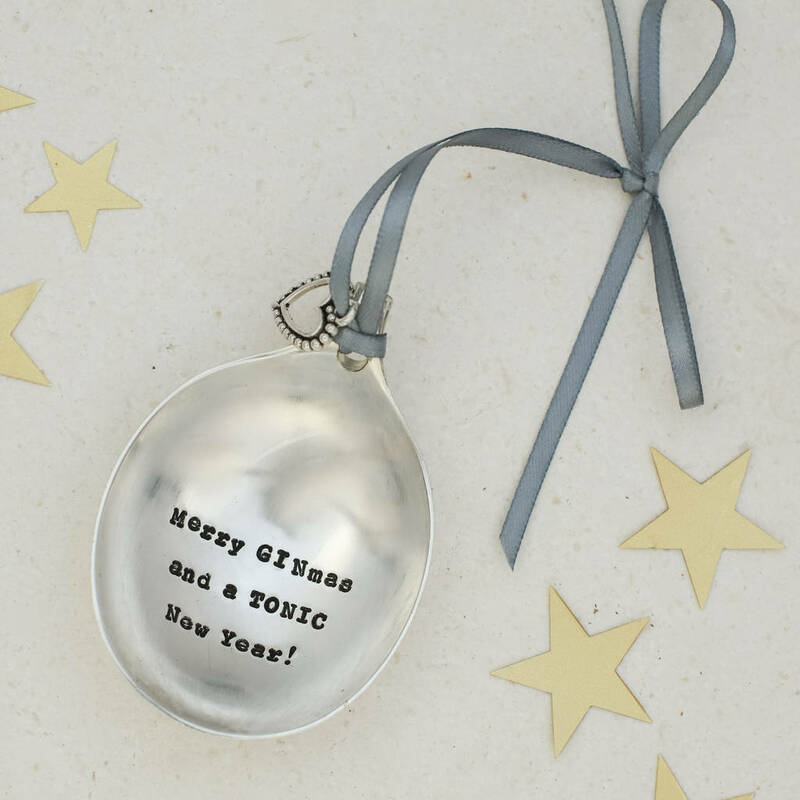 Please just hand wash only and remember silver loves a good old polish from time to time!